This is the argument advanced by Calvin Cheng, an entrepreneur and former Nominated Member of Parliament. Cars are going to become a status symbol, an “obvious symbol of class divide”. The public at large will take public transport whilst the minority elite drive their own private cars, which are quite likely to exotic brands and breeds: expensive showcases of wealth. What follows will be less cars on the roads because the majority cannot afford to own them. Roads will become less crowded, drives are more enjoyable and journeys become faster. The rest of Singapore will sit in their crowded trains and buses, looking at these private forms of transport in envy. Although money will buy better lives, it is not the mark of an inclusive society that divides society between the rich and others by making roads (a public good) accessible only to those who can afford it. “The right way to go about achieving a car-lite society is NOT to make cars available only to teh well-to-do” says Calvin Cheng, “The correct way is to change social mindsets, to make people see cars as a ‘disamenity’ and an embarrassment rather than a status symbol”. According to Cheng, public transport needs to be as perfect as possible and roads be made an inconvenience to drivers. This is done by building fewer carparks, pedestrianising the city, fewer expressways and so on. Driving should be made the less attractive option. People will then gravitate to public transport. The reduction of vehicle quotas and raising of prices are “extremely blunt and lazy policy instruments”, the net effect of which would give rise to social repercussions. The best ideas and intention may turn out to be worse than the original problem administrators set out to solve, opined Martin Tan Executive Director of the Institute for Societal Leadership at SMU on his Facebook page. This would result in fewer new cars, but an increase in the number of older cars. 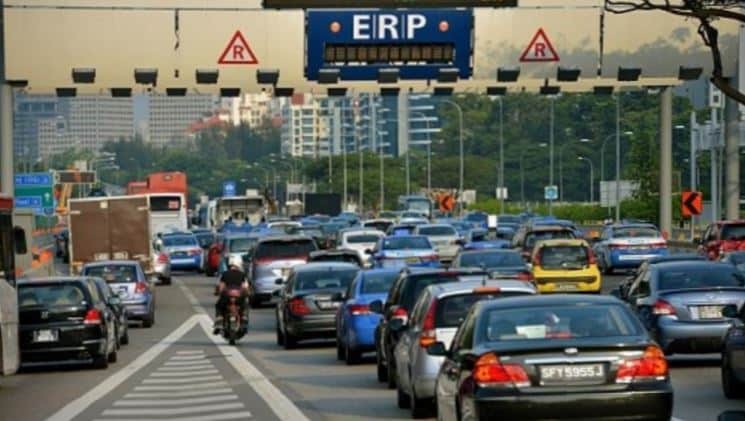 The PARF (Preferential Additional Registration Fee) rebate policies by the LTA encourage drivers to scrap their cars at the end of the COE cycle and buy a new one. Singapore roads benefit from a fleet of young cars that have fewer incidences of breakdown on the roads and make for better air quality. If drivers are encouraged to forgo PARF rebates and extend the lives of their vehicles, breakdowns may increase. Each breakdown will then translate into traffic congestion, lost productivity and worsening air quality. When the negative effects of this policy is realised, it may be very difficult to reverse it. Other voices on the internet raise a common theme: that the policy does not engage the vehicle issues at hand. It is the lack of alternative transportation and the need to travel that needs to be addressed. Many feel that the options available to the government are not fully considered. Of course, no internet rant can be considered complete without drawing attention to the income that quota premiums bring to government coffers, which at S$9.2b, is no small amount.